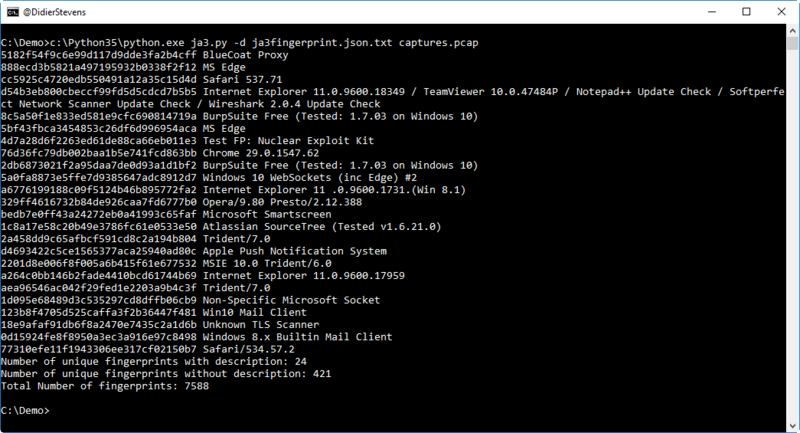 I tried out JA3 (a Python program to fingerprint TLS clients) with a 1GB pcap file from my server. It was fast (less than 1 minute), but I had to add some error handling to skip packets it would crash on. I did not identify a lot of client HELLO packets with the JSON fingerprint database: around 5%. Would you mind telling me what you did to get the file to process… what was erroring?